This series was quite the surprise for me - I was in the mood for a shoujo anime and this one seemed to be a cute story with a side helping of comedy. It turned out to be the complete opposite - this show is mostly a comedy with dashes of shoujo in between, and its balance works really well . It turned out to be one of my favorite shows of the season. This review may contain spoilers . 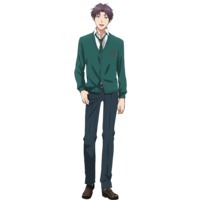 The anime follows Chiyo Sakura, a fairly normal high-school girl who likes shoujo manga and has a crush on one of her classmates, the quiet Umetarou Nozaki. 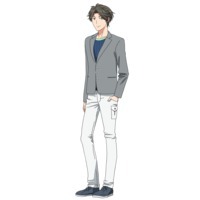 Through a misunderstanding during her first love confession, she finds out that Nozaki is actually a fairly popular shoujo manga artist working under a pen-name, and she ends up becoming his assistant, mostly adding the beta (solid black areas) to his manuscripts. 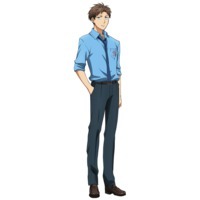 The show then follows the two and their friends (some of whom also are Nozaki's assistants themselves) through their school lives as well as their work on Nozaki's manga. 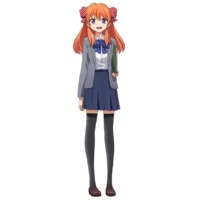 All the while Chiyo nurtures her crush on Nozaki and wonders whether he could ever feel the same. This show is easily built around the characters, and I think they're a very engaging bunch of goofs. Just like I got more of a comedy when I was expecting a shoujo, this anime seems to like to subvert expectations when it comes to its characters. 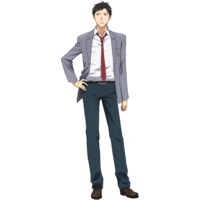 The one who seems to fit the strong and silent trope (Nozaki) is actually a huge, oblivious dork. 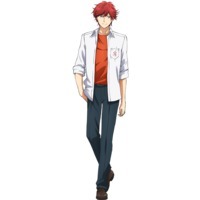 The bishounen, flirty guy (Mikoto Mikoshiba) is actually pretty self-conscious and needs a lot of reassurance. 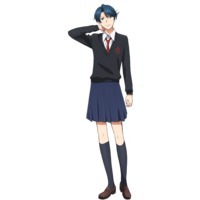 The princely character who is popular with all the girls (Yuu Kashima) is actually a girl herself. 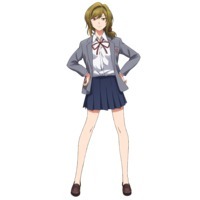 And the tomboyish, super competitive girl (Yuzuki Seo) actually has a beautiful singing voice. 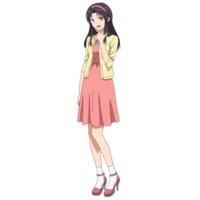 And Chiyo herself is definitely not the stereotypical shoujo heroine. Yes, she gets excited and carried away about her crush, but she isn't afraid to call him out when he's acting stupid or says something strange. It actually feels like the love interests are great friends , and I really enjoyed their interactions because they weren't always surrounded by shoujo bubbles. The one complaint I have is that the characters get paired off with comedic partners a little early, so we almost always see the same supporting characters interacting with each other for the humor. Not much to say here, but that's not a bad thing. Everything is very colorful and fits the tone of the show very well. The animation is floaty and soft for quieter moments, and snappy and quick for more of the slapstick humor. I especially noticed an increase in the quality in the last episode, much more fluid animation (especially in the lip movements). The biggest standout is Nozaki's room, full of manga and art supplies. The supplies are all unique and very well-detailed, which was a nice extra touch. I found the voice acting of the show to be very enjoyable. Almost everyone's voices were different and distinguishable, and the acting was fairly good. Nothing felt too same-y. Same goes for the music. Everything fit the tone fairly well, and I don't remember ever thinking to myself This music doesn't fit this scene at all . The stand out is the opening theme though, it's insanely catchy and I never skipped it. The ending theme is a cute little song that definitely screams "shoujo", but I never stuck around for it like I did with the opening. I went in expecting a cute little shoujo, and I got more of a comedy. But I didn't mind! It made me laugh, and that's what comedies are supposed to do. 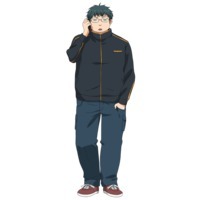 However, while the characters are very funny, they didn't get a lot of development or depth, as the show was always very light, not any heavy moments. I feel that some serious drama could have added to the overall feel of the show, like what Ouran did in its final episodes. 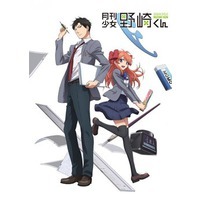 I definitely feel that Chiyo and Nozaki's story isn't over yet, so I'm crossing my fingers for a second season! I couldn't pick between 7 and 8 stars, so this gets 7½ stars from me!